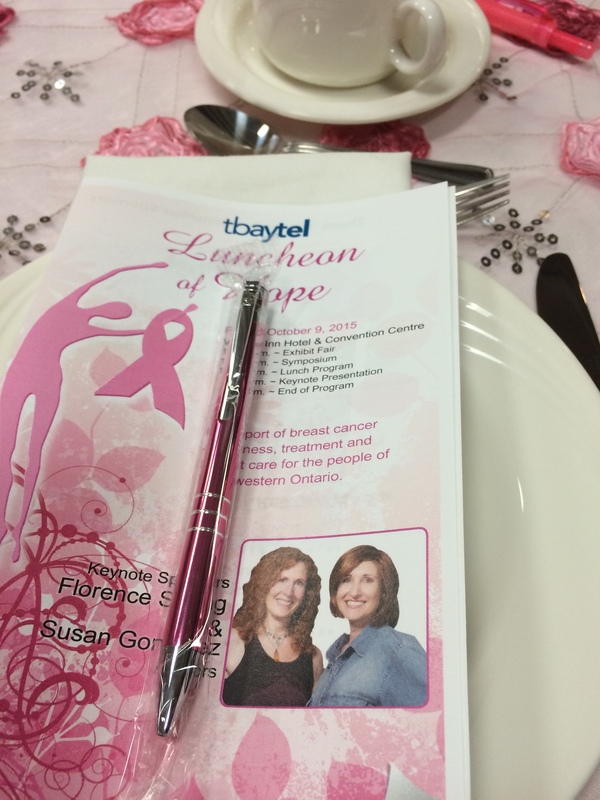 tbaytel Luncheon of Hope | The Perks of Having Cancer! The only thing I know about Kimberly is that she died on October 10, 2013 at the age of 32 from a brain tumor. I met Kimberly’ sisters while strolling along the waterfront of Lake Superior one beautiful fall evening. 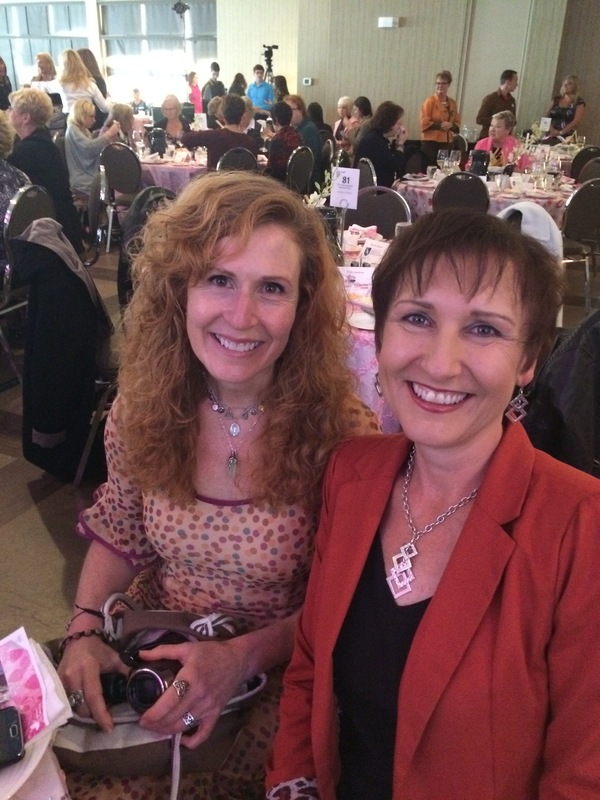 My co-author, (of 100 Perks of Having Cancer Plus 100 Health Tips for Surviving it) Susan and I were still feeling slightly buzzed from the excitement of speaking to more than 500 guests at the tbaytel Luncheon of Hope in Thunder Bay, Ontario. 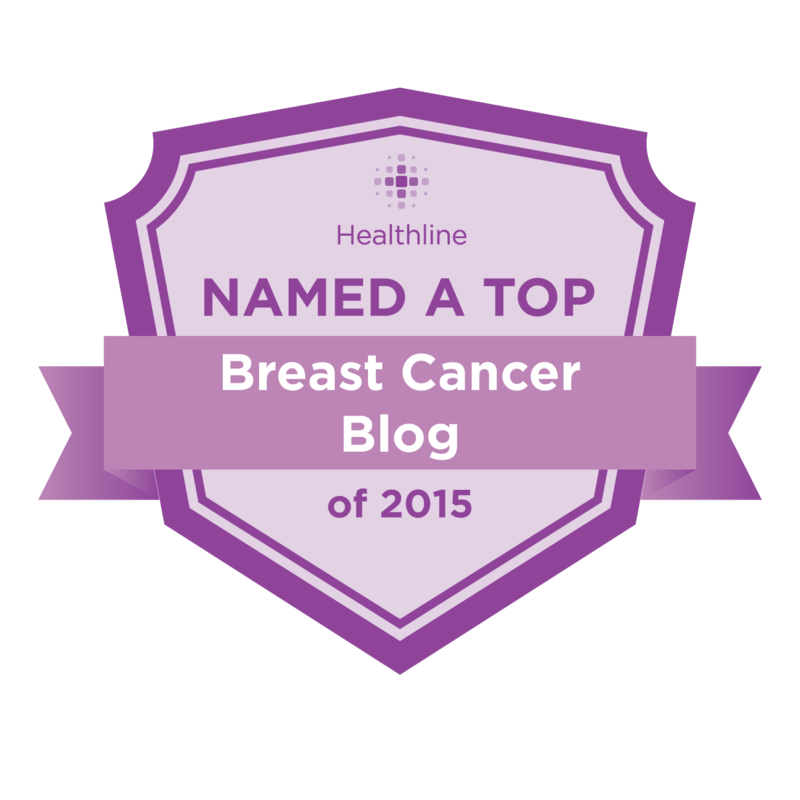 One of the perks of being a cancer survivor is being given the opportunity to inspire others through our stories. We felt confident on that day that we had conveyed our message of empowerment and hope, not just for those facing cancer, but for anyone facing difficult times in their lives. Many guests approached us after the luncheon to speak to us personally and share their stories with us. Nothing is more rewarding than hearing that our message has touched someone’s life in a meaningful way. That is why we do what we do. While walking by the lakeside and chatting about the luncheon that evening, we noticed an attractive young woman on a skate board approaching us, with another young lady who was carrying a baby walking next to her. “This is for you,” she said as she passed us a sandwich bag containing two cards. 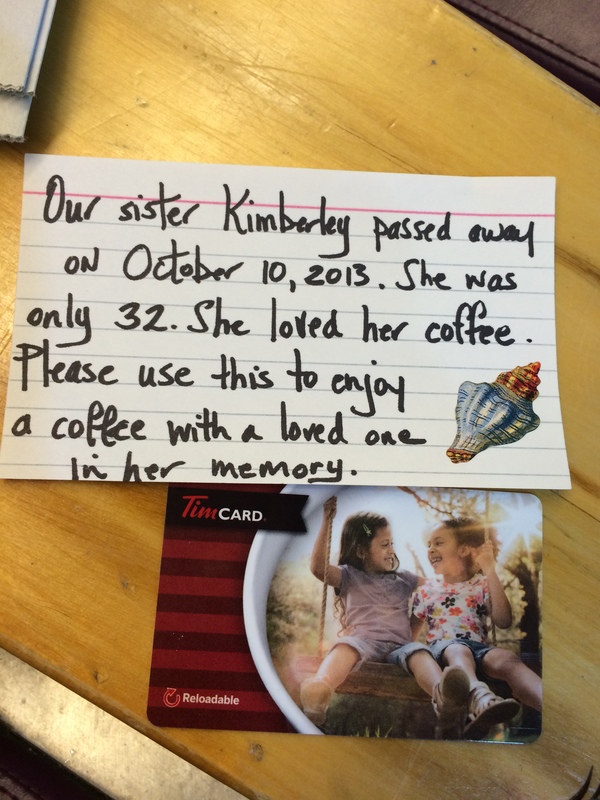 One card was a hand written note, with this message: “Our sister Kimberly passed away on October 10, 2013. She was only 32. She loved her coffee. Please use this to enjoy a coffee with a loved one in her memory.” The other card was a $5 gift card from Tim Horton’s coffee shop. My immediate thought was, “What a nice gesture, but I wonder if this is just a scheme to get money?” However, even though Susan was practically trying to force a $10 bill into her hand, the young lady adamantly refused to accept it. Susan and I were both surprised and touched by this beautiful gesture. 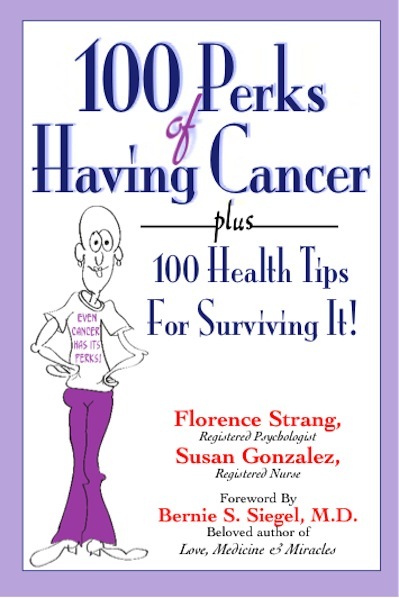 What a coincidence that the card found its way to two cancer survivors. I smiled as I tucked the card into my purse and wondered if Kimberly was secretly guiding her sisters to the card recipients. The following morning, Susan and I were at the airport waiting for our flight, when I noticed a Tim Horton’s kiosk nearby. Susan mostly does book promotions in the US, and I in Canada, so it is a rare treat when we can come together to work. She is not just my co-author, but also a good friend, and I was feeling kind of sad that our brief time together was coming to an end. 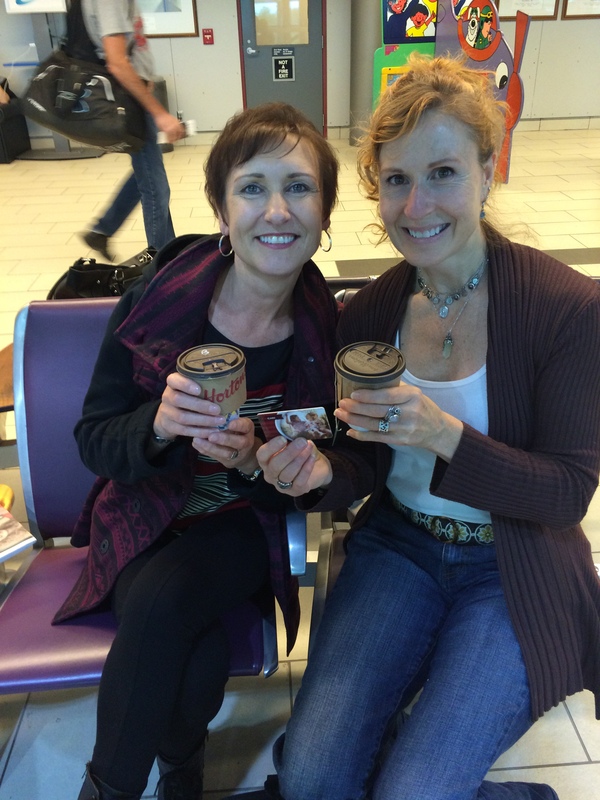 We wanted to capture the moment of sharing our Tim Horton’s treat, but the airport waiting area was unusually empty. There was however, one lady sitting close by, so we asked her if she would take our picture. Soon, we found ourselves chatting with our photographer, Patricia, and would you believe that she also happened to be a cancer survivor! 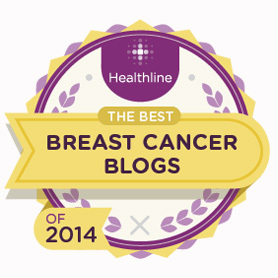 Coincidently, like Susan and I, she had also battled breast cancer. Her prognosis however, was much grimmer than ours. She had been diagnosed with advanced cancer, and was told that she had only six months to live. 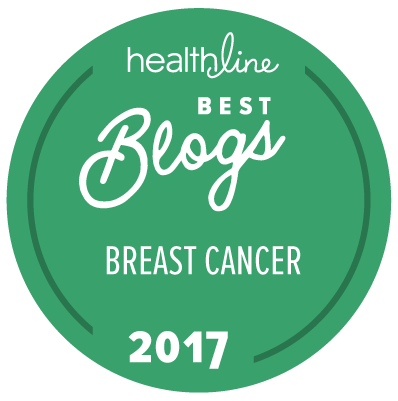 She attributes her survival to empowering herself with the best cancer treatments available to her, and by maintaining a strong sense of hope. Six years later she was not only alive, but also cancer free! For many years, I have believed in the power of angels, and I truly believe that on that day, Kimberly was the angel who brought together three cancer survivors to share their stories and to bond, if only for a short while, in the sisterhood of survivorship. Coincidently, Susan and I had just spoken at a luncheon where our message centered around the themes of empowerment and hope. Meeting Patricia brought the experience full circle, and confirmed for us the importance of continuing to spread this message. 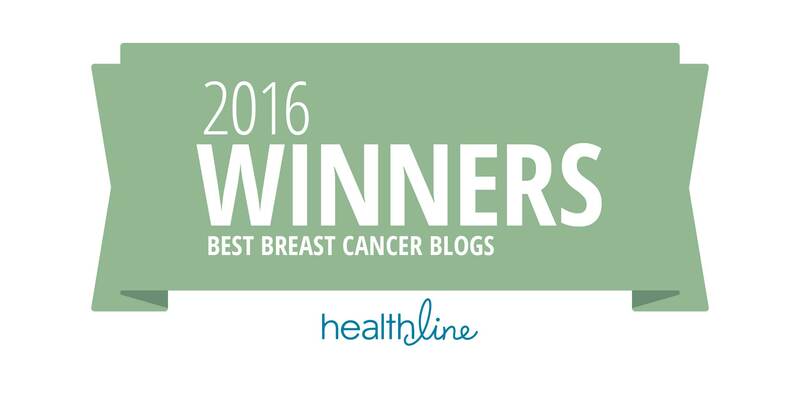 Patricia was the living proof of the message that Susan and I had shared with countless numbers of cancer survivors. She empowered herself by taking charge of her health and seeking the best medical treatments available to her. Then, despite a grim prognosis and seemingly insurmountable odds, she held on to hope and her faith in God. In doing so, she defied the odds and became a living miracle. Thank you Kimberly, and Kimberly’s sisters, for bringing us together on that day. 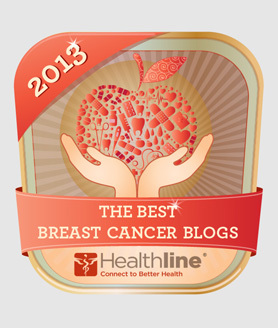 Thank you too for re-igniting my passion to keep sharing this message of empowerment and hope with others. 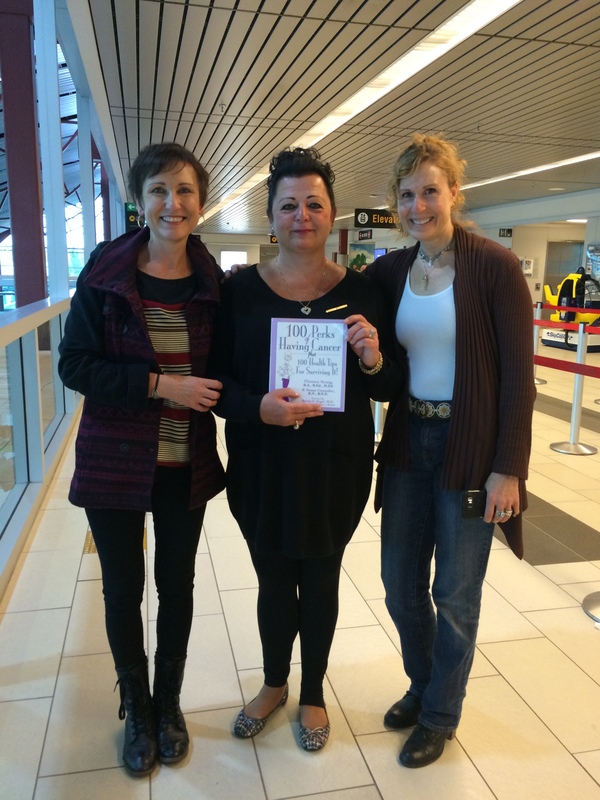 Flo and Susan meet fellow breast cancer survivor, Patricia and gift her with our book. Just paying it forward for Kimberly!